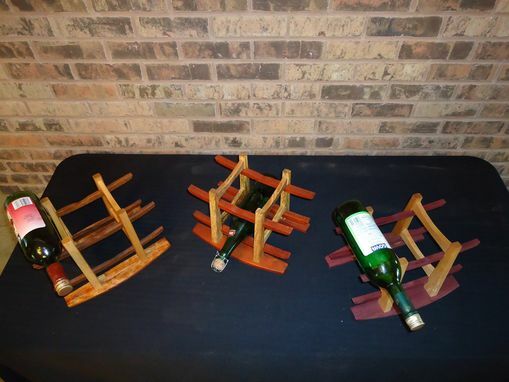 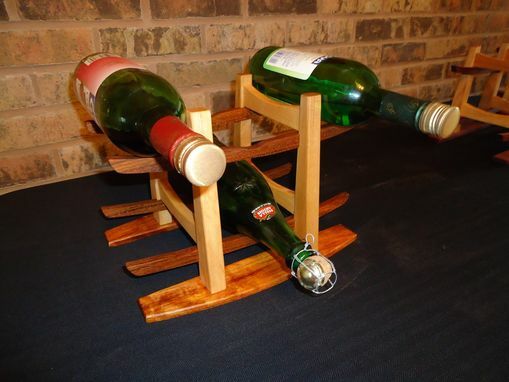 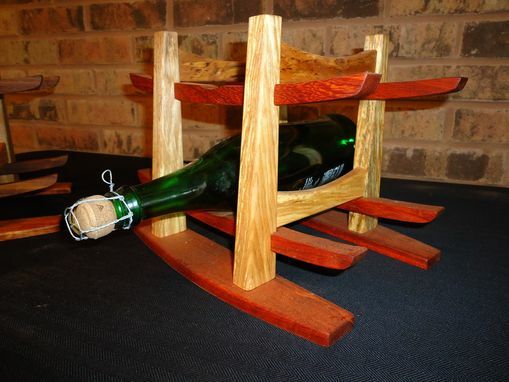 These counter top wine racks keep your favorite wines at hand, and they are as unique as the woods they were made from. 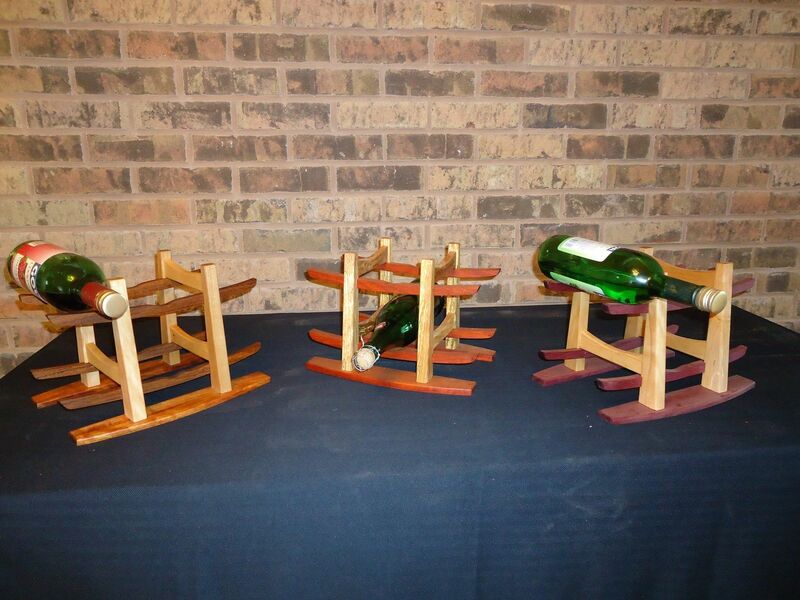 They look great on kitchen counters and bars, and they are a great conversation piece. 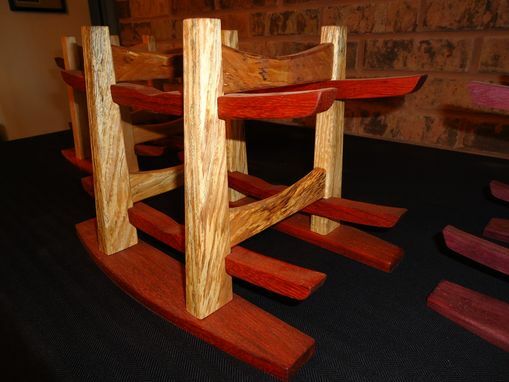 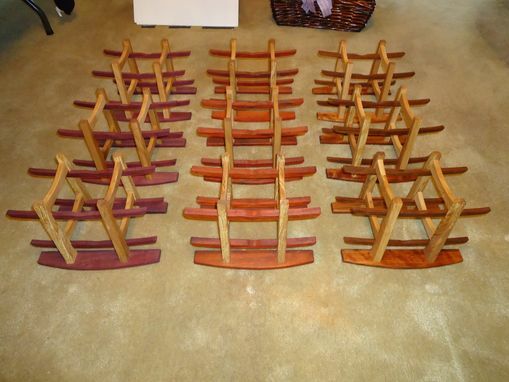 Each one has a solid birch frame and one of three exotic woods (jatoba, padauk and purple heart).